YSAR are taking applications for next year in the Auckland and Western Bay of Plenty area. YSAR online applications are now open for the 2019 intake. We have 22 positions available for College students in year 11 and are wanting a diverse group of young people. The learning modules and activities are designed to provide opportunities for young people to participate in emergency response, bushcraft, leadership, mentoring, volunteering and healthy outdoor activities. They are designed to promote resilience, a sense of self-worth and to develop skills and provide learning experiences and challenges. Students will graduate from the three-year program with ‘learning transcripts’ which will include their participation in innovation and technology projects aligned to real world problems in Search and Rescue and Civil Defence Emergency Management. They cover a range of skills and specialist areas, all managed through a central learning management system. As well as the very real benefit to the community in terms of rescue services, YSAR’s commitment to STEM (Science, Technology, Engineering and Mathematics) opens up significant career pathways for students. These young people will be well equipped to maximize their potential. To quote co-founder and general manager of YSAR, Steve Campbell ,“We’re aiming to create multi-skilled young people who will be invaluable to their community. It’s highly likely some of our students will go on to save lives but they’re also going to be great human beings.” This is a very exciting training opportunity utilising the latest in innovation and technology in SAR and CDEM. 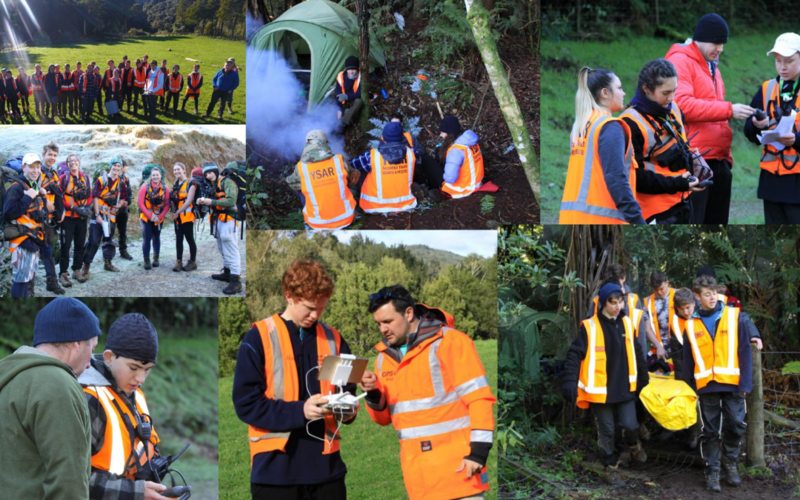 So if you like the outdoors, if you are physically fit, interested in technology like Drones, digital and satellite technology, thermal imaging, navigation, emergency and disaster response, camping and tramping then students will love being on this training programme.